Our email address for all contact is the one from which your received your payment invoice, please communicate exclusively via that address. First, please check your spam folder. If not, the email you provided when booking may have been incorrectly typed. Please click the chat button and chat with an agent or send a message from the chat system. Before clicking to chat, make sure you have; Your correct email address, date of payment and the name used for the booking. Our chat team will locate your booking and send the message while you are online so as to confirm receipt. Please read THIS and if you still have questions please contact us below. This email is NOT monitored for changes or cancellations; you should only communicate with the email address from which you received your payment invoice. First you should communicate with the email address from which you received your service voucher. Secondly you should call the 24 hotline given to you on both your voucher and confirmation email. 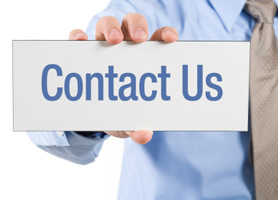 Our email address for all contact is the one from which your received your original payment invoice, please communicate exclusively via that address. Please first read THIS then, by all means, you can contact us below. However, for an immediate response and direct assistance we recommend using our chat system on this page.